Relay Sense is a comprehensive solution to discover, monitor and proactively support business networks and connected devices in real time. 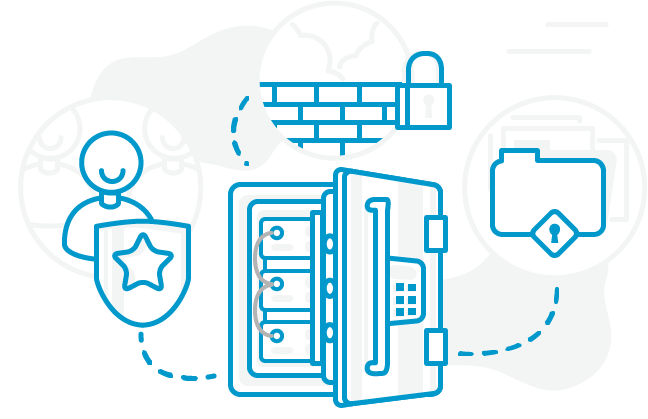 Sense is packed with the tools you need to keep your customers’ networks and technology safe and online. Create life-long advocates with proactive support by helping customers before they realize they have a problem. Provide proactive support to ensure your customers stay online 24/7. Remove time-consuming guesswork from technical support with detailed insight into all devices. Get a holistic view of their entire IT footprint to understand what they need. Sense connects to the router and passively monitors all devices on the network. Tickets can be created in Relay and proactively notifications can be shared with customers via Connect. Just plug the device into the router and the rest is done automatically. Sense identifies and labels all devices on the network so you don’t have to. Set the importance of each device with critical tags to manage notifications. 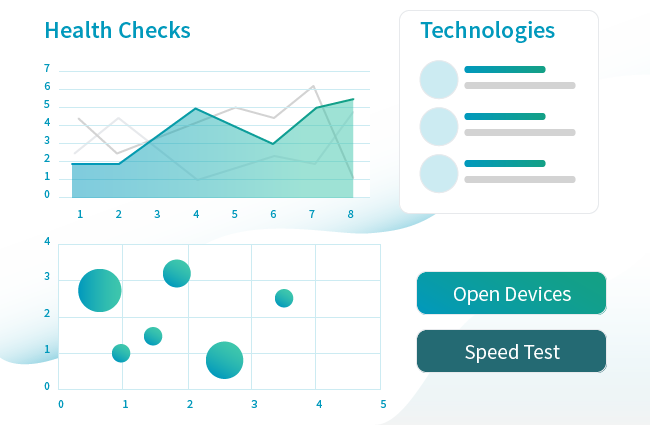 Automatically conduct network health checks every 5 minutes and capture data on your dashboards. Sense pings all IP devices, conducts speed tests, checks channel congestion, identifies bandwidth hogs and much more. Identify problems before they happen to keep your customers operating at peak performance. Access dashboards for each individual location or see it all from a global view. Each location has a specific network health score calculated from key speed and quality metrics. Automatically create tickets and/or alerts based on customizable device settings so you can fix the issue before it becomes a problem. We take security seriously. Sense is built to be 100% secure for you and your customers. Sense is a passive device and doesn’t depend on or listen to any inbound communication from the internet. 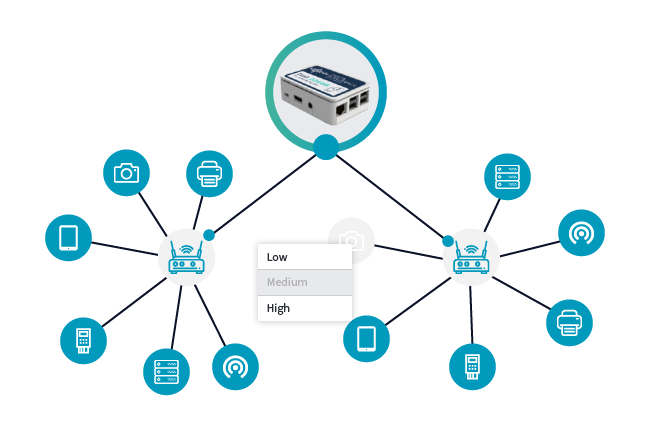 Sense uses basic networking protocols to anonymously perform monitoring tasks. 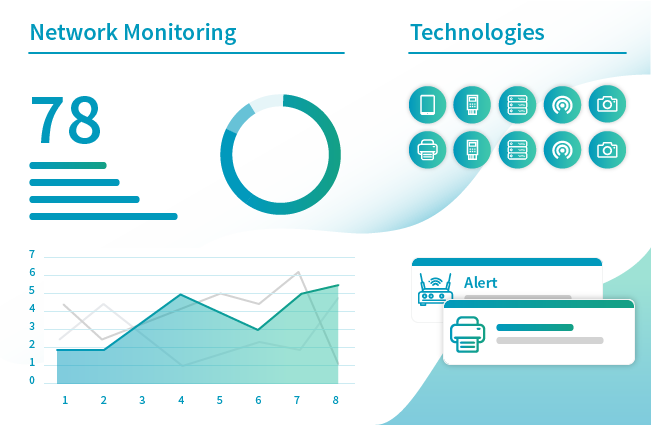 Network and technology monitoring, auto ticket creation, proactive notifications, dashboards and more. Everything in Sense, with the added ability to run custom scripts to proactively make changes to specific devices. PCI compliance tracking and automated SAQ forms. Need help with 24/7 technology monitoring coverage? Check out Relay’s Expert Network. What if you could support your customers before they asked for help – or even prevent their problems from occurring in the first place? 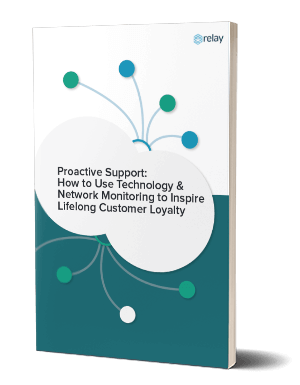 In this guide, we explore how to use technology & network monitoring to inspire lifelong customer loyalty. A simple raspberry pi with the Sense agent flashed on it. Shipped pre-configured and ready to go. Flash Sense onto a router of your choice to get all the benefits without the extra hardware. Sense is pre-built onto a number of smart terminals for the simplest deployment. Easily embed the simple code snippet on any network-connected device you sell.